This is a misspelled word that is often used to search for "astrology". I just wanted to see whether you were paying attention! ...compare my love horoscope information against your typical "zodiac sign" horoscope for compatibility. Find your astrology horoscope along with ways to make your life better. ...free astrology, psychic reading, free psychic, or free chart's online, check the linked websites. You should be able to find your love match in those links. For more advanced students, planets take more importants in your astro birth chart. A depth astrology reading takes into consideration more than just your sign. There is a whole chart, with the zodiac's position of every planet. Much detail will be given to you. Check it out! Click on the image! Get started now with this popular primer about stars in astrology. Warnin: No Observed Birth Time Is Ever Right. GET THE RIGHT BIRTH TIME! Or Else Your Charts Will Be Wron! Hi, beginning student! Think about it, if you know anyone whose birthday adds up to the number 1. For example, if they were born on the 19th of any month, you add the 1 plus the 9 and you get 10. Then you add the 1 plus the zero and you get 1. The word that we use in astro-numerology is "reduce". The number 19 reduces to number 1. That means, if anybody was born the 1st of the month, or the 10th, the 19th, or the 28th of any month, then they are a number 1. In astrology, we see that almost everybody has a multiple personality. Sometimes they are like one planet and sometimes they are like another planet. The number 1 corresponds with the Sun in astrology. This does not guarantee that the person will act like a description of the Sun . Maybe they are a Sun person and maybe not. Maybe they will be like a Sun person in a few years, or last year, but not right now. You have to look at their chart to know for sure, then you will be able to predict when they will act and feel like a Sun person, or not. + Wherever they go, they feel like and act like they are on display. + They are very concerned about the image of themselves that they show to others. + They like to be dramatic and get attention to themselves. + They insist upon bein respected. + They insist upon bein in charge. You have just read a description of a " Sun " person. Anyone born on a "number 1" day of the month has a better chance of bein a Sun person. As a beginner, you can't know for sure if it is a Sun person, unless you examine the person's astrological chart. In my course on understandin yourself and readin character, I explain to you how to tell for sure. You can learn the Chinese names for signs in your regular or Chinese horoscope. Find out about what had been missing in other astrologers' Chinese astrology compatibility readings. Click on the link. We must determine whether the person is an ordinary person, a disciple, or an initiate. Astrology will not tell us this, we have to use other methods. The method could be inspiration, intuition, prayer, "muscular testin" kinesiology, pendulum, divination, or interview combined with intuition. Take note, if you are a descendant of the House of Jacob, then use of divination will cause your people to lose your heritage. There is a happier alternative, I do not want to talk about it here. If you are of predominately Northern European and Lombardic ancestry, then the Biblical prophecies concernin the House of Israel, the sheep of Jesus, and so on, apply to you, and you must rely on listenin to God within you, rather than on divinin crutches, such as tarot cards, and so on. These three categories, to wit, ordinary human, a disciple, and initiate, reflect the amount of quantum consciousness-raisin that the object of your attention (the person whom you are considerin) has been given, by the celestial hierarchy. Each category of human is under the betokenin of a different set of rules for interpretin charts. Ordinary humanity is symbolized by the Sun's sign more; disciples by the Sun, but more by the ascendant. Initiates only by the ascendant. Disciples and initiates are symbolized by the sidereal zodiac, which means (Latin "sideris" = "star") the apparent position of the constellations as their light reaches to us upon the surface of Earth. Ordinary people are symbolized by the zodiac of signs, which is a circle beginnin at the Spring's equinox. Presently, the ordinary people of Earth are all in the process of bein either initiated into discipleship, or eliminated and sent away from Earth. This process is called a "planetary initiation", which will make Earth to be a sacred planet. After that, only the sidereal zodiac will be used. Are you doin somebody's birth's chart? Or have you a consultation appointment with them? 2. A chart of the time when they give to you their birth's data. 3. The scheduled time of your appointment with them. If Neptune is in the 3rd house, or rules the third house, then there is a good likelihood of some error in the birth's time. Also a change of name is possible. The same is true if it is a retrograde planet, rather than Neptune . I have found in cases like that, the more questions you ask the person, tryin to rectify the time, the more confused and doubtful it becomes. In other words, for me, interviews have never been much help in these cases, they just seem to muddy the waters even more, because the person doesn't even know what is the right answer to give to you, their mind is so confused. Eventually I have to ask God to guide my thinkin, and rely only on hard facts in the person's life. Then sometimes I have to wait a few days or even weeks, then it hits me. You have to interview them to get the hard facts, like how many children, when they moved, who died, what their activities are. But don't rely on their descriptions of feelins, characters, attitudes, and so on. Sometimes you can do a horary chart, and the ascendant will be the ascendant of the person's birth's chart, or a planet in the horary 1st house will be their ascendant's ruler. But it could also be the ascendant of their Solar return chart or their diurnal chart as well. To learn astrology readings, take astrology classes and courses online. What planet rules coral beads? The book of Rex Bills, The Rulership Book, has in it many errors in facts, and also mistakings. It is, like, a dictionary of what things in whe world are ruled by what planets. Online Encyclopedia says, if you want some better information sources to find out what planet rules what, allow me to suggest, amon others, Ancient Hindu Astrology For The Modern Western Astrologer by James Braha. You may object, �but that is an Eastern method.� Look, Hindu astrology as taught today is mostly of Western origin, as project hindsight researchers have declared. 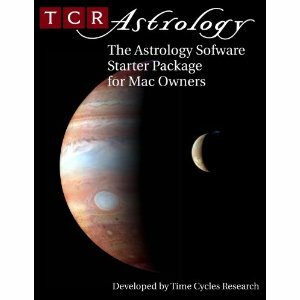 The rulerships in Ancient Hindu Astrology For The Modern Western Astrologer are more reliable than those in Rex's book. Rex was not himself an astrologer. Cornell's Encyclopedia Of Medical Astrology is packed with planetary rulership information facts that you won't find anywhere else. Don't let the use of the word �medical� fool you. Online Encyclopedia says this compendious tome has beaucoup de lore and information, way beyond the medical field, as well. It is limited mostly to the planets out to Neptune , however, so you will need supplemental books for the other significant and important astrological points. Other sources of facts, you will want to possess, are Combination Of Stellar Influences by Reinhold Ebertin, and The Language Of Uranian Astrology By Roger Jacobson. To Roger Jacobson's book, I would add the observation that each of the Uranian �planets� covers many of the things ruled by their sign, that are not ruled by the more inner planets. For example Sif (misnamed Apollon) rules the things of Gemini that are not ruled by Mercury, such as internet, multiples of anything, twins, words, brotherly or sisterly love. However, cars (which are loved by Geminians) are ruled by Ishtar, a Jaynean planet (see The Unknown Planets , below). Another example is Zeus, which rules love affairs. Zeus rules Leo, but the Sun , which also rules Leo, does not rule love affairs. I may be wrong, but I feel that whenever my Zeus was transited, I felt very �sportin� in the �game of love�. For you to understand the importance of the �Big 4? asteroids, there is one definitive book, Asteroid Goddesses by Demetra George. For the rulership of the black moon Lilith, you need Interpreting Lilith by Delphine Jay. To her list of rulerships, Encyclopedia Online would add Hollywood , motion pictures, TV, mass propaganda, most anti-puritan behavior, such as feminism, communism, satanism, freemasonry, secret societies, and witchcraft. Communism is specifically ruled by Neptune , but I think there has to be some bearin from Lilith to make it happen, since it is anti-puritan. Probably the best book on facts about Chiron is Melanie Reinhart's Chiron And The Healing Journey . There is also a lot of good information about Chiron and the other Centaurs and newly discovered planets at Zane Stein's website, Chiron And Friends. The Unknown Planets by Charles Jayne is indispensable, but almost impossible to obtain. His book deals with certain movin sensitive points in the sky, which have not been researched anywhere else, that I know of. If you want more information about medical astrology, the basic book for you is Astrodiagnosis A Guide To Healing . This book has fundamentals that seem to be neglected in later books. But to brin you up to date on medical astrology, look at The American Book Of Nutrition And Medical Astrology , by Eileen Nauman. She also has brief but essential information about the Hamburg School �Planets� (Uranian Astrology). Electional Astrology means pickin a good time to do something. IMPORTANT NOTE: I wrote all the followin about electional starry law (astrology), because I had the knowledge, and I didn't want it to die with me. It is my own brand, my own version. However the whole time, in my heart, I knew that the Hindu muhurta electional astrology will give to you better results. Why are they better? Becaust the Hindu way consideres how well your doins fit into the whole. They put the good karmic attitude into the thin that you are doin. Let's say you want to do business. Outside the muhurtha system, you might find a chart that may get you more success in business, but it throws you off in some other area, because the way you are doin it just does not fit in. That is why I started this page about MUHURTHA. I am not goin to try to teach you all about electional astrology here. You can learn that in Bruce Scofield's book. But I will give you some principles that will make it much, much faster and easier to do for you. I learned this first principle from Gilbert Navarro, and it will save you tons of time. I don't know where he learned it from, maybe from his own experience. Gilbert was hand-picked by Ivy M. Goldstein-Jacobson to be the one and only individual to carry her teachings to the world after her demise. He was her personal student. She considered him to be like her heir, the heir of her knowledge. Mrs. Jacobson was amon the most amazingly accurate astrologers ever to have drawn breath in this world, and she documented hundreds of original observations, most of them extremely useful. Here is Gilbert's observation: Whenever the progressions to the birth chart are good, you find a good election day very easily. Whenever they are not good, you can't find a good day at all. Let me try to say that more clearly. You can find a good day to do somethin if that day occurs durin a good progression to the birth chart. The birth chart of the person who is goin to be doin the doin. The second principle I learned from Robert Jansky, God rest his soul. Robert was a good and original astrological researcher, and in my opinion he did not recieve as much attention as he deserved. I had a "telephone relationship" with him. Here is the principle: Check the latest Solar Eclipse. Check the house that it is in. That is the house that will have the most power in your life, until the next Solar Eclipse. If the aspect to your birth chart is good, then it is a good time to do something. If not, not. Use a one-degree orb for aspects between the eclipse and your birth chart. The third principle. This principle is, you can use Solar Eclipses instead of progressions to choose a good period of time. The fourth principle comes from Sophia Mason, God rest her soul. She was an AWESOME researcher, and very original. She was very focused on mainly two things: diurnal charts and lunations. I had a brief correspondence-relationship with her by snail mail. Eclipse is a type of lunation, and, so whatever is true for lunations is also true for eclipses, just as what is sauce for the goose is also sauce for the gander (male goose). Here is the principle: The house, occupied by the latest eclipse, is not the only thin that is activated, by the eclipse. What else is activated, you ask? If the eclipse aspects a planet in the birth chart, then that planet, and the house it is in, and the house it rules are all activated. Let me give you an example. Let's say the birth chart has Venus in the sixth house. Venus rules the ninth house and the fourth house. The eclipse comes alon and lands in the 11th house, and trines Venus from there. Wow! That lasts for 5 months. There is a 5 month period where you could successfully begin somethin ruled by Venus, or by the 4th, 6th, 9th, or 11th house. Eclipse is in the 11th, and makin a good aspect. So you can succeed in 11th house things, like makin friends, joinin a club, social reform, astrology, and so on. Eclipse is trine Venus, so you can succeed in things like courtship, music, art, gettin some beautiful jewellery or clothing, and all of the things ruled by Venus. Venus is in the sixth, so it would be a great time to get a pet, take a course in alternative medicine, improve your efficiency, and all the positive things ruled by the sixth house. Do the same with the 9th and 4th houses, because Venus rules them. Like spend a lot of time in Church, or start a curriculum at a University, travel to distant lands, all the 9th house stuff. Grow a garden, buy a house, begin genealogical research for 4th house, ruled by Venus in the example chart. If you use enough asteroids, plutinos, centaurs, cubewanos, and hypothetical planets, then the Solar Eclipse almost always makes a good aspect to something. Just be aware, if it makes a simultaneous bad aspect to somethin else, one of the "big ten" planets, or the ascendant or midheaven for example, then don't use the house that the eclipse is in, only use the houses of the planets that it makes good aspects to (one-degree orb). I learned this one from a protegé of the Washington D.C. astrologer, Barbara Watters, God rest her soul. I think his name was Brian Sullivan. He may have been of Czech ancestry, I am not sure. Just kidding. Anyway, here is what he said: Check the aspects of the transiting Moon. Check the next aspect it will make, and also the last aspect it will make before leavin the sign it is in. That tells you what day to take your action. You have already picked the 5-month period, usin the Solar Eclipse. Now this is how you pick the day within that period. I have one more rule from my own experience. I haven't tested it a whole lot, but so far it has worked every time. Here is the rule: Whatever planet completes the first aspect to the ascendant, in the election chart, that is goin to determine if the election is good or bad. IF the Moon's next and final aspects are good (before leavin the sign it is in). So no matter how bad the chart looks, if Venus trines the ascendant, before any other planet can complete an aspect to the ascendant, then you are goin to enjoy whatever happens as a result of your election. I do not mean to claim that a Solar eclipse's influence cannot be activated by transits after the time of the succeedin Solar eclipse. Johndro's claimed that his research showed otherwise, and he gave lot precise examples to prove it. But, per Jansky's book on eclipses, greater weight is given to the most recent eclipse. Thus each new Solar eclipse brings a new emphasis to supersede that of the previous one.